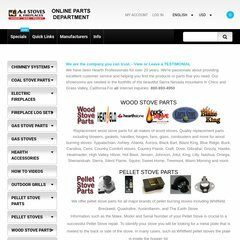 Topics: Safe And Secure, Pellet Stove Parts, Whitfield, Quadrafire, Breckwell, and Austroflamm. American Registry For Internet Numbers (Virginia, Chantilly) is the location of the Apache server. ns32.domaincontrol.com, and ns31.domaincontrol.com are its DNS Nameservers. Its IP Number is 97.74.10.194. PING (97.74.10.194) 56(84) bytes of data. A ping to the server is timed at 59.7 ms, and the average page load time is 1643 milliseconds.